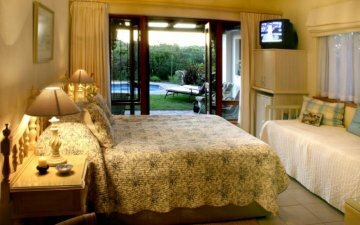 Milkwood Country Cottage has unique charm and is situated in a village like no other St Francis Bay, gateway to the famed Garden Route, 1 hour away from Port Elizabeth. It is here you will come to enjoy time to yourself, time to unwind and rejuvenate. It’s here that time itself seems to take it’s pace from the lazy river meandering slowly into the Indian Ocean. You’re in a place of beauty, natural splendour and charm. 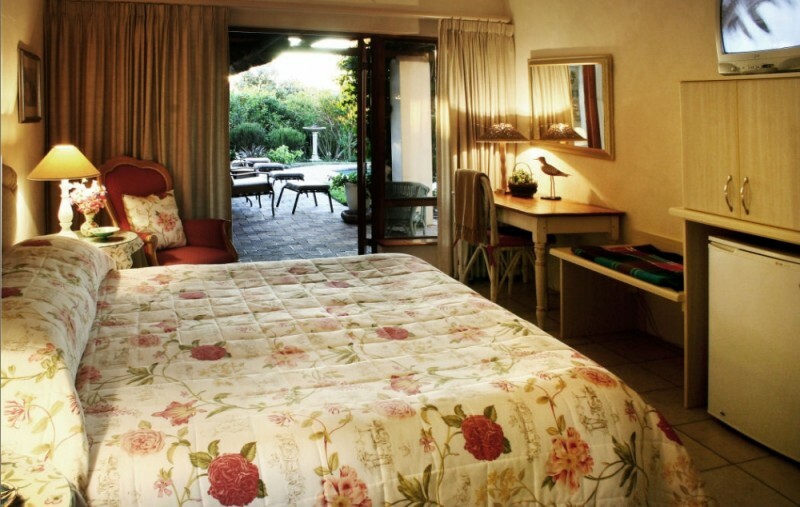 Milkwood is the perfect place from which to enjoy the many activities in St Francis Bay. Golf (literally on our doorstep) – 5 paces takes you onto the 15th fairway – to the wide range of water sports, horse riding, hiking and cycling to more relaxing pastimes like lazing at the pool, sunbathing or walking on our pristine beaches – you’ll never run out of things to do. Within 3 – 5 minutes you can walk to the club house, the beach, shops, restaurants and coffee shops. 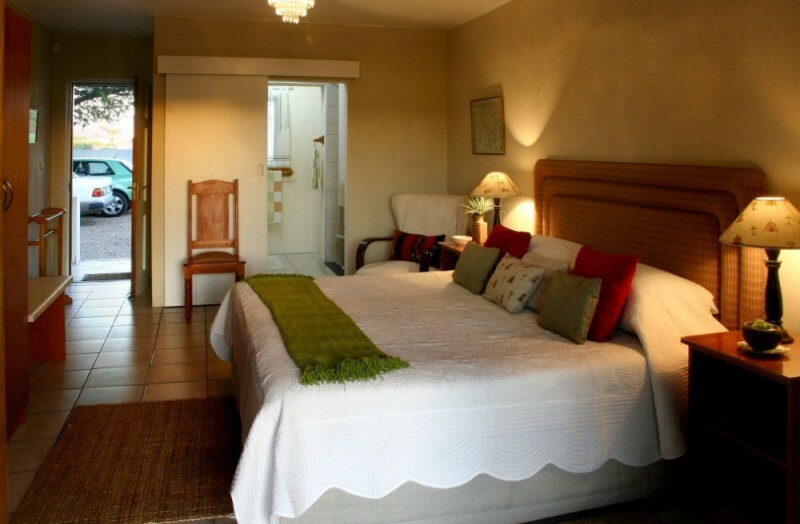 Our rooms are individually decorated and all en-suite. Double volume French doors open onto the pool patio with views of the picturesque golf course. 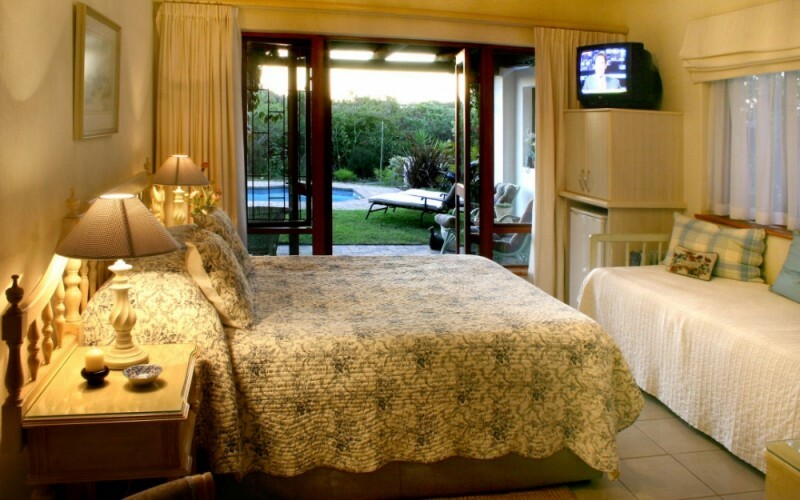 It is here that you will experience tranquility, warm hospitality and time to unwind and rejuvenate. Laze on the loungers around our sparkling pool and be enthralled by breath taking sunsets from your patio. Guest facilities include the use of beach umbrellas, boogie boards and even a set of golf clubs for those guests wishing to travel light. Our sumptuous breakfasts are made to order and include fresh fruit salad, cereals, yogurts and homemade jams, followed by a full English with eggs, bacon, sausage, mushrooms, grilled tomatoes and fresh juice tea & coffees, Miemie our cook will ensure a good start to your perfect day. Parking is off street and protected by the vast over head Milkwood trees. You are in a place of beauty natural splendor and charm. Wake up to glorious mornings with the sound of birds in our well established garden.